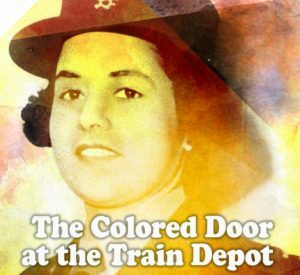 “The Colored Door at the Train Depot” shines a light on the first African American to command whites in the Women’s Army Auxiliary Corps during WW2. When it comes to trailblazing women in African American history, the name Anna Mac Clarke doesn’t roll off the tongue with quite the ease of, say, Harriet Tubman, Rosa Parks, Althea Gibson or Maya Angelou. However, Clarke’s contributions are still noteworthy in that she broke ground for women of color in the military during World War II. She was the first African American to be in charge of an all-white regiment in the Women’s Army Auxiliary Corps (WAAC). 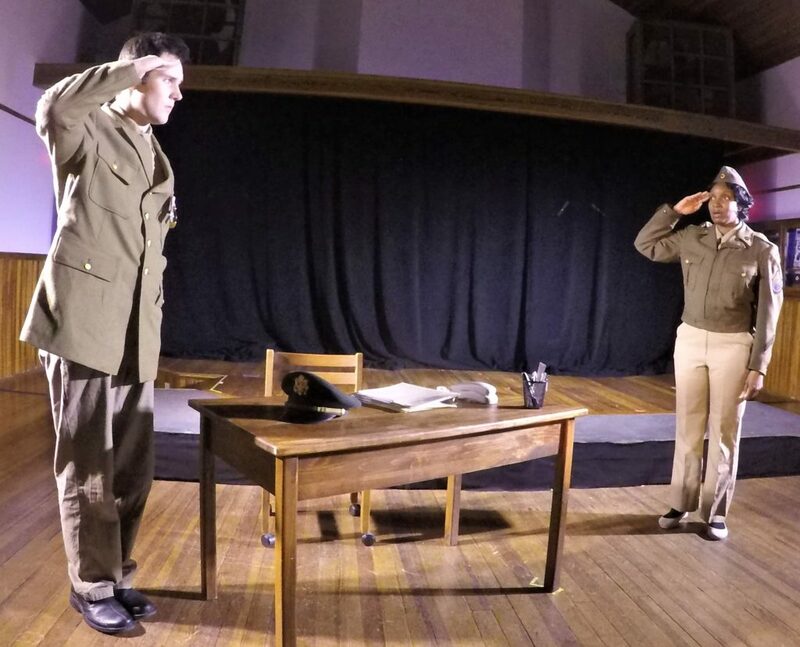 Clarke’s story comes to life beginning Friday night when the Actors’ Warehouse presents The Colored Door at the Train Depot. There are performances Thursday, Friday and Saturday nights at 8 and Sundays at 3 p.m. through Feb. 17. 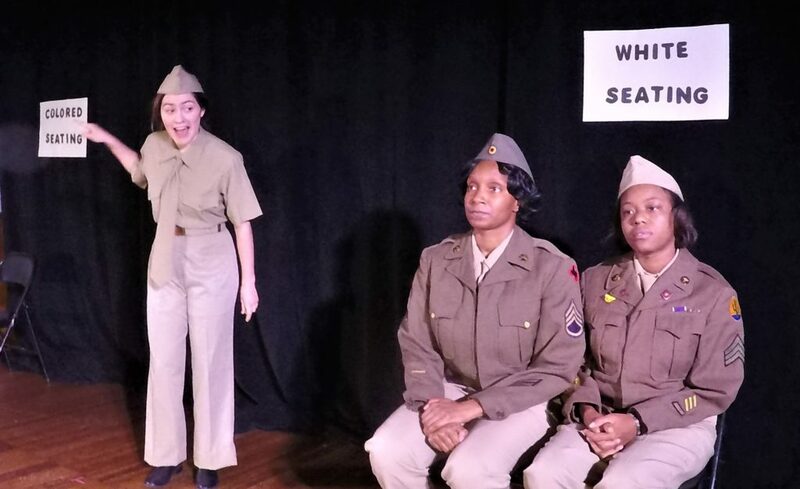 The play is the first installment of the AW’s community–engagement project, “The American Black Experience: Then & Now,” a social and cultural criticism of racism in America with an important historical lens. The second production is Dominique Morisseau’s Pipeline, which will be staged March 15-31 at the Actors’ Warehouse, 619 NE 1st St.
“The American Black Experience: Then & Now,” funded by a grant from the Florida Humanities Council, also includes four Community Conversation public round-table events, each addressing different themes. The first such community-engagement event is Feb. 12 from 6:30-9 p.m. at the United Church of Gainesville, 1624 NW 5th Ave. The Colored Door at the Train Depot, written by Nancy Gall-Clayton, traces the improbable story of Clarke, who was born in rural Kentucky in 1919 and raised by her illiterate grandmother. 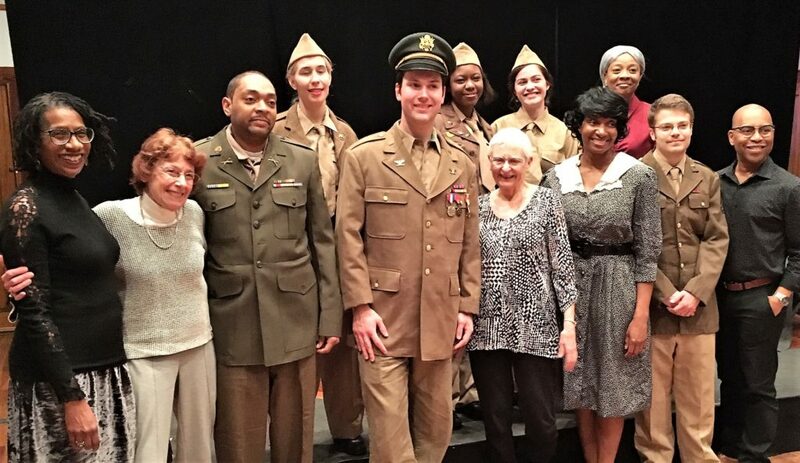 The play follows Clarke as she defies odds and fights for racial justice in the military. Hartigan first became interested in the play two years ago when she attended the Comparative Drama Conference in Orlando. The Colored Door at the Train Depot was chosen for a reading there. 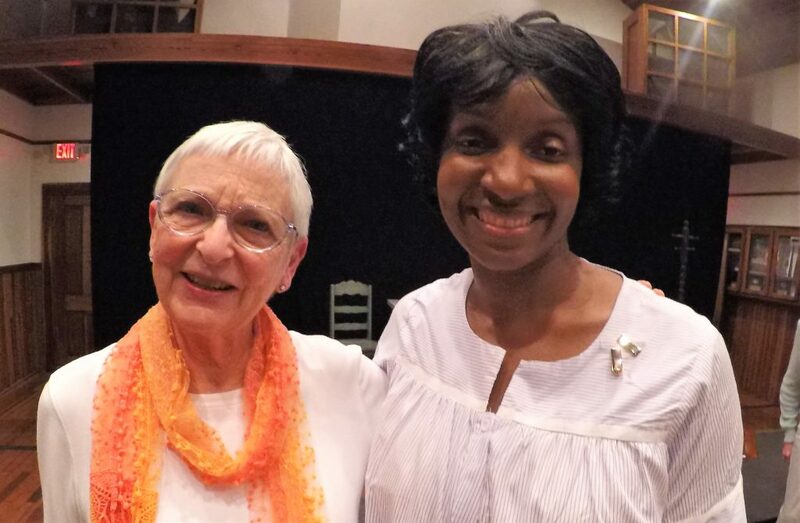 Based in Indiana, Gall-Clayton has written more than 80 plays with a focus on historic women and events. She is expected to attend Friday’s Opening Night performance with family members. “I am deeply honored to be sharing the story of Lt. Anna Mac Clarke’s brief life, especially in the state where Dr. Mary McLeod Bethune’s legacy is so rich,” Gall-Clayton said. Cristina Palacio, the play’s assistant director, said that Clarke is a new but important figure to introduce to American history. Amanda Edwards, who plays the central character in The Colored Door at the Train Depot, said she was not familiar with Anna Mac Clarke until she got the role. Edwards, who works for the UF Foundation, had the title role in By the Way, Meet Vera Stark at the Gainesville Community Playhouse in 2017. She previously starred at the Actors’ Warehouse in 2016’s Single Black Female and The Mountaintop. She said playing a historical character such as Anna Mac Clarke is gratifying. The ensemble cast for The Colored Door at the Train Depot also includes Tonya Lewis, Rachel Cockrell, Sontoya Johnson, Kara Parham, Cole Kirchen, Lee Wallace and R. Scott Lukacovic. As a gift to the community, the Actors’ Warehouse is offering free tickets to all Thursday and Friday night performances, including Opening Night. For Saturday and Sunday performances, tickets are $20 for adults and $15 for seniors and students. 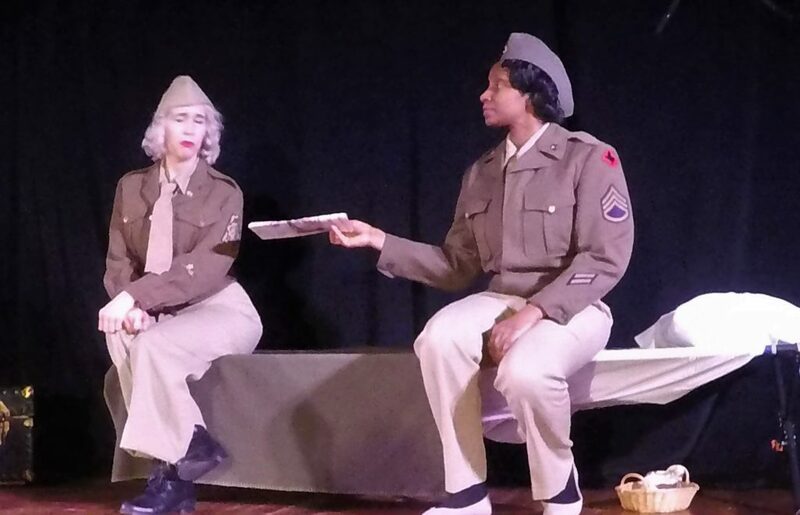 Meanwhile, as part of “The American Black Experience: Then & Now” program organized by Ann Kinnebrew, the Actors’ Warehouse presents “Black Women of Distinction: Making History in Alachua County” following Sunday’s 3 p.m. matinee performance. There will be a reception and awards presentation to honor four women in leadership who have made history in Alachua County. They include Kim Barton, Alachua County Supervisor of Elections; Gail Johnson and Gigi Simmons, Gainesville City Commissioners; and Evelyn Mickle, the first black graduate of the UF College of Nursing. Performances: Thursdays, Fridays and Saturdays at 8 p.m., Sundays at 3 p.m. through Feb. 17. Tickets: $20 general admission; $15 students and seniors. Note: Admission is free for Thursday and Friday performances. For further info, visit the Actors’ Warehouse website. Let us know what you think about “The Colored Door at the Train Depot” by posting a comment in the Leave a Reply section below. Yes. Simply go to actorswarehouse.org and look for the “tickets” and “Select the show.” If you attend Thursday or Friday night, admission is free! (But still order the free tickets in advance to secure a seat).